Period Pain Treatments | Online Pharmacy UK | PostMyMeds Ltd.
View our range of period pain treatments. Period pain (also known as Dysmenorrhea or menstrual cramps) is usually a normal part of the menstruation process and is very common with most women experiencing it at some point in their lifetime. However some women may experience pain that requires further treatment in order to provide adequate relief. Period pain is very common, and is usually experienced in up to 90% of women at some points in their lifetime. 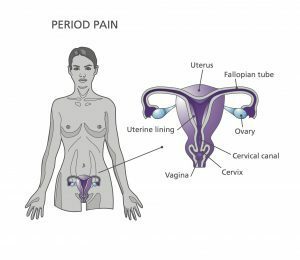 In cases where it is not caused by an underlying condition, period pain will usually get better with age or after having a child. Period pain usually starts once the bleeding begins, but in some individuals it may begin a few days before the onset of their period. Period pain is usually worse when bleeding is at its heaviest. The normal duration for period pain is 48-72 hours, whilst in more severe cases it may last longer. The cause of period pain can either be primary or secondary. Painful periods are usually a normal part of the menstruation process. Normally the muscular wall of the womb contracts at a continuous rate, usually mild enough to an extent that it cannot be felt. However, during a period, contractions occur at a more intense rate in order to allow the lining of the womb to shed away. Compression of the muscular wall can affect blood vessels and cause them to constrict, leading to a reduction in the amount of oxygen delivered to the area, which can cause certain pain-triggering chemicals to be released in the area. Although there is no apparent reason, in certain women contractions can be greater and they experience severe period cramps and period pain. This is why in some cases; pain-relief medication such as Mefenamic Acid may be needed to assist the patient through there painful periods. Painful periods may also be caused by an underlying concern (secondary dysmenorrhea). Such cases will require referral to a GP for further investigation. The main symptom is lower tummy cramps and pain either experienced as intense spasms or at times a dull constant pain. Such pain may spread to other parts of the body including the hips, lower back or thighs. What medications are available for period pain? Medical treatment may include painkillers such as opioid painkillers and non-steroidal anti-inflammatory drugs (NSAIDs) or in some cases the combined oral contraceptive pill may be beneficial. NSAIDs – the most appropriate painkiller for managing period pain. NSAIDs such as Ibuprofen and Naproxen may be used to provide period pain relief. 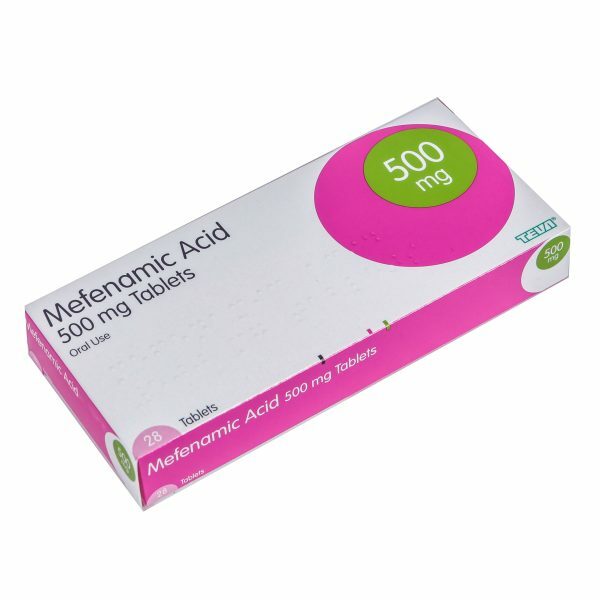 In some cases stronger NSAIDs may be required which are available on prescription such as Mefenamic Acid may be the best option. Opioid Painkillers – may be used in those patients who cannot tolerate NSAIDs, although these are not usually as effective as NSAIDs. Opioids include Paracetamol, Codeine and Dihydrocodeine, which are available over the counter.